Donalyn Miller is an award-winning teacher, author, and staff development leader who has taught fourth, fifth, and sixth grade language arts and social studies in the Fort Worth, Texas area. Her teaching awards include TCTELA’s Elementary Language Arts Teacher of the Year (2011), Keller ISD Elementary Teacher of the Year (2010), ESC Region XI Teacher of the Year (2010), TEA State Finalist Texas Elementary Teacher of the Year (2010), Trinity Meadows Intermediate School Teacher of the Year (2010), and Texas Association for the Gifted and Talented Region XI Rising Star Teacher (2008). In 2018, Donalyn was awarded TCTELA’s Edmund J. Farrell Distinguished Lifetime Achievement Award for her contributions to the language arts teaching profession. In her second book, Reading in the Wild (Jossey-Bass, 2013), Donalyn collected survey responses from over 900 adult readers about their reading habits and used this information to explicitly model and teach lifelong reading habits to her students. Donalyn’s articles about teaching and reading have appeared in publications such as Gifted Child International, Education Week Teacher, The Reading Teacher, Voices From the Middle, Educational Leadership, Horn Book, and The Washington Post. Donalyn is currently working on a new book with Dr. Teri Lesesne, and has several solo and collaborative writing projects planned for 2018 and 2019. With her friend and collaborator Colby Sharp, Donalyn co-founded The Nerdy Book Club blog, which provides daily inspiration, book recommendations, resources, and advice about raising and teaching young readers. Since the blog began in 2011, Nerdy Book Club has grown into a podcast, numerous state and national conference presentations, and several Ed Camp-style professional development events including Nerd Camp Michigan and Nerd Camp, Jr. held annually in Parma, Michigan. 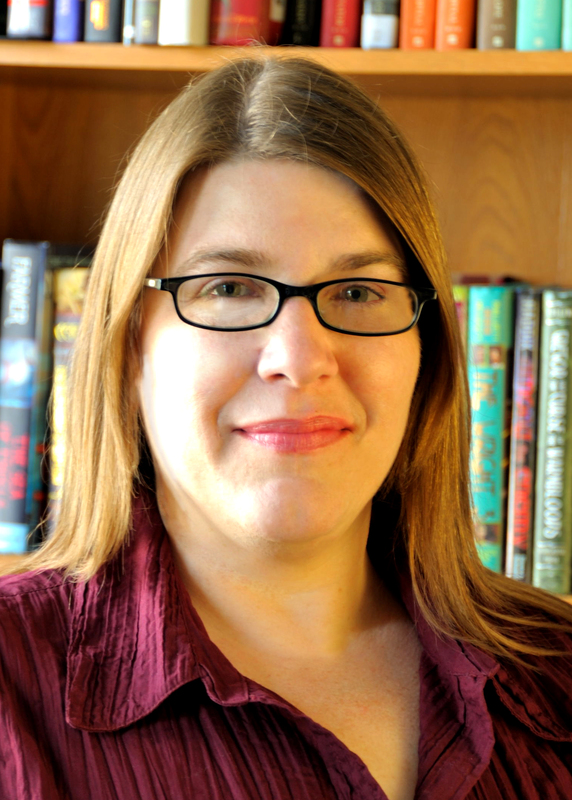 Donalyn is the founder of the annual summer #bookaday challenge and co-hosts (along with Colby Sharp) the monthly Twitter chat #titletalk, a monthly chat about reading and books. Donalyn currently serves as Scholastic Book Fairs’ Ambassador of Independent Reading Advocacy. In this role, Donalyn travels to conferences and schools as a reading ambassador, sits on several Scholastic advisory boards, and hosts the web-based teaching tips and book talk show– The Book Whisperer: Back to the Books. With her colleague and friend, John Schumacher, Donalyn co-edits the Reader Leader blog and co-hosts Scholastic Book Fairs’ annual Reading Summits. Through her international conference presentations, workshops, school visits, published works, and online collaborations with colleagues, Donalyn shares the importance of free choice reading and provides suggestions and resources that foster children’s love of reading and the development of positive reading identities. Presentations include current and timeless research, classroom rituals and routines that support engaging reading communities, classroom and home library development, book recommendations, practical reading and writing workshop strategies and instructional moves, and personal stories about the power of independent reading and student choice.